August 2017 -Britax Römer, the leader in car seat safety, is pleased to introduce the latest addition to its car seat range, the TRIFIX i-SIZE. Made in Germany and designed with Britax Römer’s renowned crash testing capabilities, it is based on the award-winning TRIFIX platform. The latest Britax Römer seat that conforms to the ECE R129/01 car seat regulation (i-Size) is suitable for children from 76 cm to 105 cm tall (15 months up to approx. four years), making it the perfect follow up to the popular BABY-SAFE i-SIZE infant carrier. Ensuring a strong and stable fit, the new sleekly designed TRIFIX i-SIZE is approved for all cars with dedicated i-Size seating positions as well as cars with ISOFIX and Top Tether anchorage points. The car seat does not require an additional base for the unique installation that reinforces the stability of the seat, whilst allowing for more space in the foot-well of the car. Integrated ISOFIX connectors have also been designed specifically for the TRIFIX i-SIZE to provide complete and unrivalled protection for little ones, allowing for both safe and easy installation. Providing all-around safety, the TRIFIX i-SIZE ensures children are optimally protected thanks to the large, deeply padded side wings and Britax Römer’s SICT inside technology, which absorbs energy and keeps children away from the impact of the crash. Additionally, the special V-shaped form of the headrest is designed to control the movement of the child’s head in an impact. 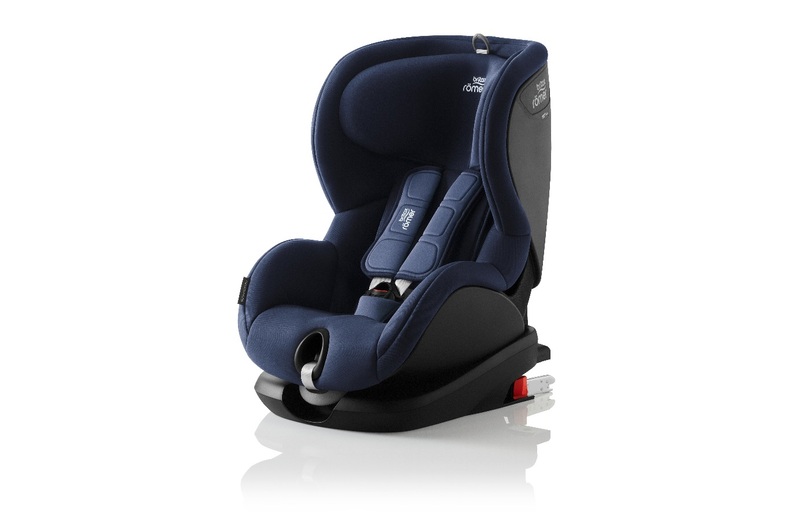 In the event of a frontal collision, Britax Römer’s patented ISOFIX with Pivot Link system directs the force downwards into the vehicle seat, thereby reducing the risk of head and neck injury, while the Top Tether with rip stitch technology helps reduce the forward movement of the child in the case of a crash. The Top Tether’s unique stitch pattern has been designed to progressively rip in a controlled fashion, absorbing the force of the frontal impact during a collision. These features, along with the 5-point harness with soft neoprene performance chest pads (which can be easily removed for washing), help to protect children from an impact of any direction. The unique range of safety features allows parents to travel with peace of mind knowing that their precious cargo is well looked after. The TRIFIX i-SIZE not only provides the optimum safety technologies, but also makes sure that children are travelling in complete comfort. The advanced ergonomics of a good seating position and superb padding offer a stress-free journey. The three recline options can be adjusted easily with one hand without waking up a sleeping child. The headrest provides seven height positions to ensure that the seat will grow with the child. “Made with Care” is Britax Römer’s philosophy to provide the highest quality of products to our customers. The majority of our car seats – including the TRIFIX i-SIZE, which is made in Germany – and all of our car seat fabrics and covers are made in Europe. This is an important step in our commitment to tightening quality control and developing the safest possible products for children – whether it is protecting children in accidents or from elements that come into contact with their skin. Britax Römer has strong internal standards for chemical and mechanical testing for fabrics and other components. These include regulatory guidelines and our own internal, often stricter standards to which the quality of our products must adhere. We are pleased that our efforts have been recognized in this area with consistent, excellent scores from leading consumer organisations such as Germany’s Stiftung Warentest, ADAC and ÖAMTC. The TRIFIX i-SIZE is available from July 2017 for £250 and is available in Cosmos Black, Flame Red, Storm Grey, Olive Green and Moonlight Blue, with additional colours to follow.